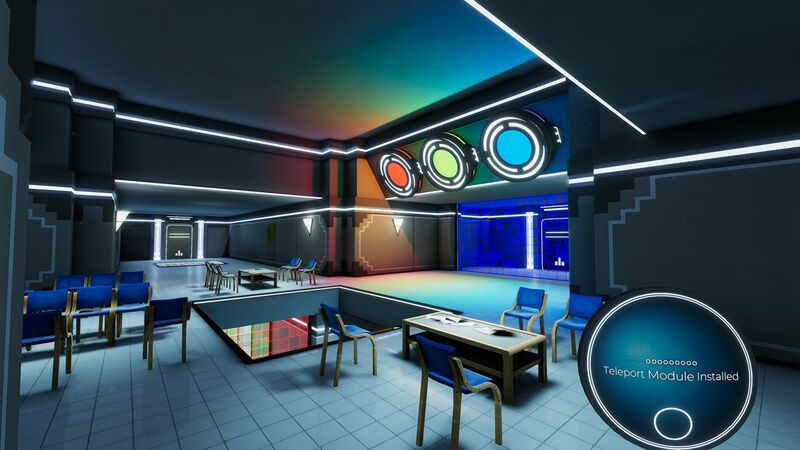 The Spectrum Retreat is out now on Xbox One, PS4 and PC, bringing first person puzzling to the fore once more. 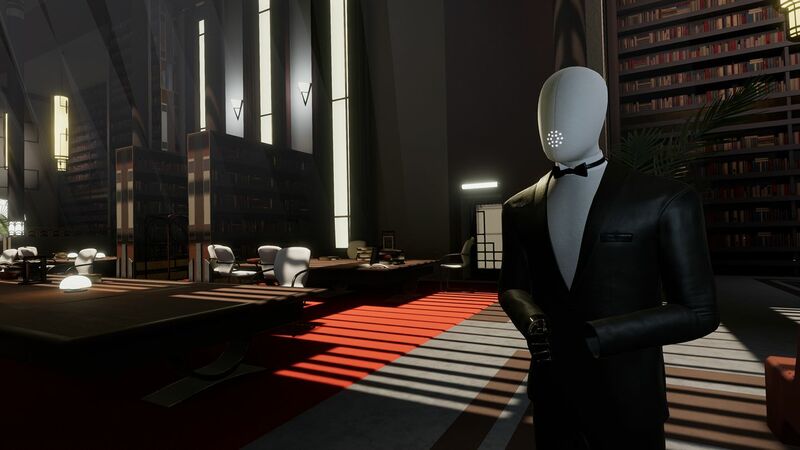 Delivering stunning visuals, a utterly brilliant soundtrack and some puzzles that tempt you in over and over again, it is right up there with the very best titles from the puzzle genre. Hi. Please introduce yourself – what has been your role on The Spectrum Retreat? Hey, I’m Dan Smith, creator of The Spectrum Retreat. I started development on the game 5 years ago and my role has been everything from design and programming, to art and writing the story.. so all sorts! So, sell it to us… why should gamers buy The Spectrum Retreat? 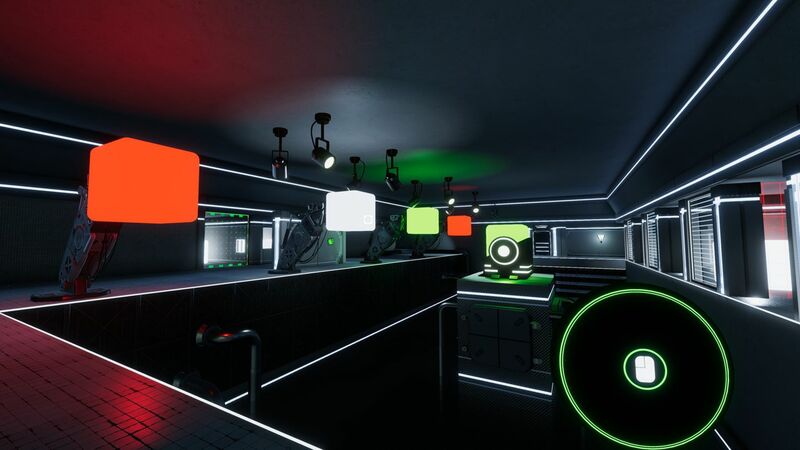 If you’re a fan of first person puzzle games, The Spectrum Retreat offers a bunch of great puzzles to get stuck into. However, it sets itself apart from the genre with a more involved narrative, completely unique setting and a structure I’ve never seen in a game before. You previously won a BAFTA for the prototype of this game. What are the biggest changes that have taken place between then and now? And how tough has making those changes been? It’s probably easier to talk about what hasn’t changed. The mechanics are the same (with one addition) and that’s about it. The game has grown in every direction. New art, new narrative and better puzzles. 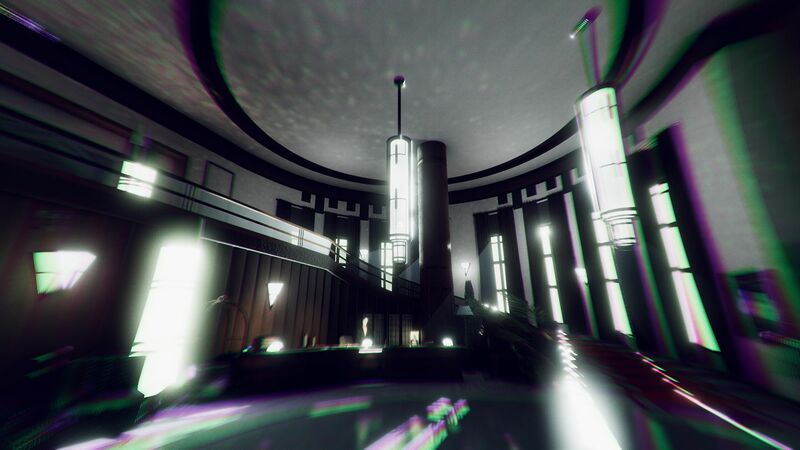 We’ve got a fully voiced story and a new hub world that connects the puzzles in the form of an art-deco hotel. The process has been tough for sure, but really enjoyable as well. I won’t complain, I’m super lucky! The Spectrum Retreat’s tone is reminiscent of a Black Mirror episode. What have been the main gaming and TV influences behind it all? Black Mirror is an influence for sure, I’m a big fan of the way Charlie Brooker creates worlds that slightly adjust the familiar. That’s something The Spectrum Retreat does as well. Westworld is also an influence, in ways that become apparent when you play, and Bioshock as well for its atmosphere and storytelling. 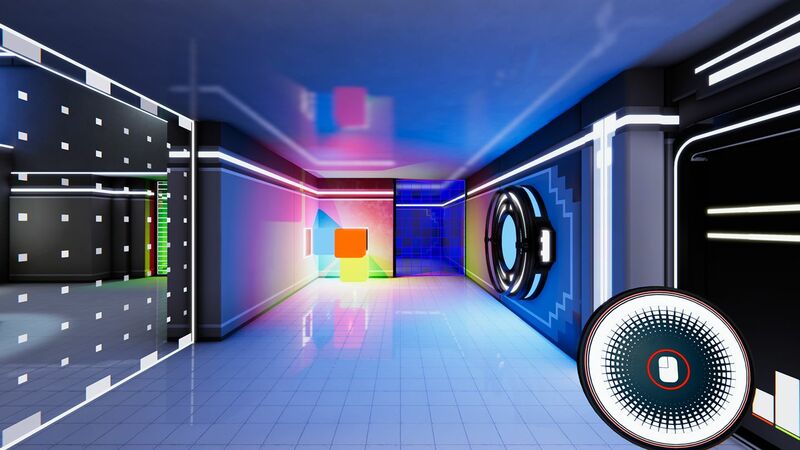 Antichamber was also a massive influence from the beginning for me, I became obsessed with its special trickery. 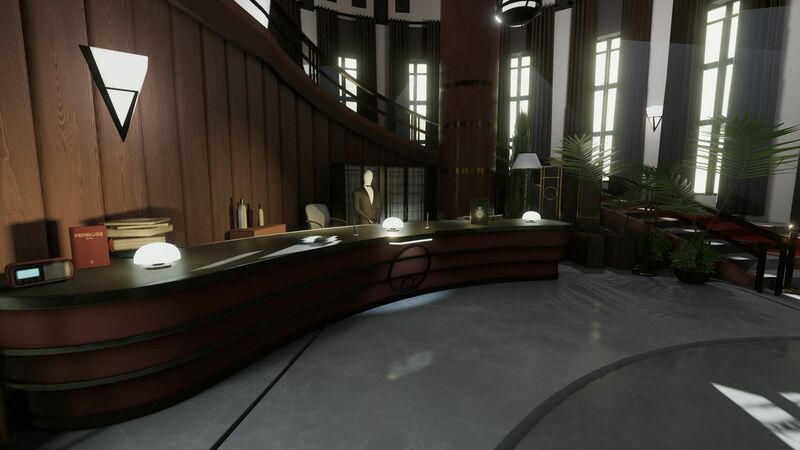 With the development process in mind, what came first – the puzzling gameplay, the hotel setting or the brilliant narrative? The gameplay came far before the rest. I wanted to make sure it was fun without additional elements or motivation. Once I knew people enjoyed it just for the puzzles, I started thinking further. I had the idea for the hotel about 2 years in and began to develop the narrative from there. That said, the narrative and events that unfold were still in development until early this year so it was constantly evolving. In the designing of the levels, what was the longest time you spent making a level, and how difficult was it ensuring that they didn’t ever stray too far across the line into frustration? The most difficult level to design was probably the last one. There’s a lot of pressure to combine everything you’ve discovered prior; a proper finale or boss battle of sorts. I wanted to sort of retell your mechanics story with it and make something bigger. I also wanted to firmly route it into the narrative finale in a way the others didn’t. I spent weeks on that one. Preventing frustration in puzzles is difficult if you want the game to be difficult. If you look at reviews for any puzzle game, the negative ones almost universally complain it’s too easy. But what actually stops people playing all together is it being too difficult. I just try to be consistent and fair, if you’re frustrated.. you’re doing it wrong. What about replayability? Where is the draw for players to keep going back to the Penrose time and time again? Well, the game is 99% linear. So the narrative needs to offer something the second time round that it didn’t before if replayability is gonna be worthwhile. I think it really does. Think of films like Memento or Fight Club, they’re worth rewatching because the knowledge you have at the end enhances what you see from the beginning. If you want the most complete picture, you’ll have to replay. We also have 2 endings and 9 collectibles throughout the world which add to it all. The keypad is system is also perfect for speed runners. And how long would you anticipate an average gamer to take in order to fully experience everything The Spectrum Retreat has to offer? Most people seem to take 5-6 hours in their first playthrough. After you have the solutions and perhaps want to re-experience the narrative or get a different ending, you can shrink that dramatically. How has your experience working with the team at Ripstone been? Could you have done it without them? Ripstone have been great. They fully understand the game and what I wanted to achieve with it. They’ve been supportive and committed themselves to it, which has been great for me. Without them, I’ve no idea what the game would be like… smaller and available on less platforms for sure! Further to that, what was your favourite part of the development process with them? I think getting to see certain aspects pushed further than I could myself. The art is the best example of that. The Penrose looks stunning and is so much better than I had first imagined. The voice acting is a huge part of the whole experience, how was it working with the actors on the dialogue? I have to say that Jay Britton, Amelia Tyler and Fryda Wolff have done an incredible job with the voice over. The game really felt like it was coming alive when we started to include their recordings, and that’s down to the strength of the performances. They were great to work with and added so much to the characters. Without beating around the bush, the soundtrack is amazing. Was it an integral part of the process to ensure you had a great composer working on things? How did that entire process work? So I got very lucky with the soundtrack. I was showing the prototype at Rezzed in 2017 and two lads, Joe and Nathan, came up to try it. We chatted about soundtracks for a bit and they just seemed to get it. I spoke to Joe a few weeks later over Skype about what I was trying to make and sent over some references. He made a demo and I loved it, we still use the same motif. We refined that over a few months, just chatting and sharing feedback. I had a very clear vision for the hotel areas and was more open to experimentation in the puzzles. I really wanted to combine the two, classical and synth, to make something unique and Joe was fantastic in the execution (the difficult bit). Once we had the script, they both ran with it and created something really special. Thinking ahead, where do you see your career taking you next? Do you have any plans for another game along the lines of The Spectrum Retreat? If not, are there any other genres or styles you would like to tackle? I’ve got ideas, bigger and smaller. I really want to continue leading projects from inception to release, I just find it really rewarding. I think I’ll tackle something smaller before I go big again, hopefully even this year. I’m not looking to make another puzzle game anytime soon, but I love merging strong core mechanics with complex narratives – so that will hopefully continue. I’m excited about my next little idea for sure. What games are you looking forward to playing this year? Anything stand out to you either as a gamer or a developer? Given how much they’re changing about my favourite series, Fallout 76 is something I’m really curious about. If Fallout without NPCs works well… I’ll be shocked and delighted. From a developer perspective, I’ve been following Manifold Garden’s development for years and still have no idea what the mechanics are. Also anything Bossa are doing. Massive thanks go out to Dan for taking the time to answer our questions. The Spectrum Retreat is out right now on Xbox One, PS4 and PC (with a Switch release later this year), and if you have even the slightest bit of enthusiasm for the puzzle genre, you should go and pick it up right now. Make sure you have a little read of our full review of the game too.